Mystery? Intrigue? Just plain different? 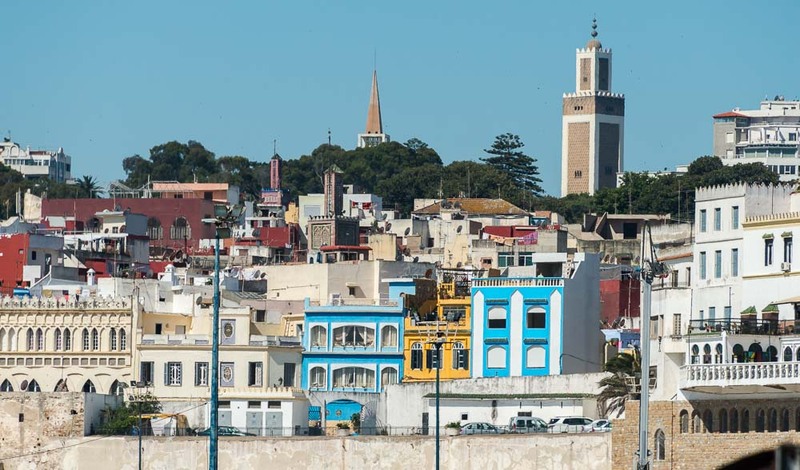 These are some thoughts that come to mind when one hears of the name Tangier. 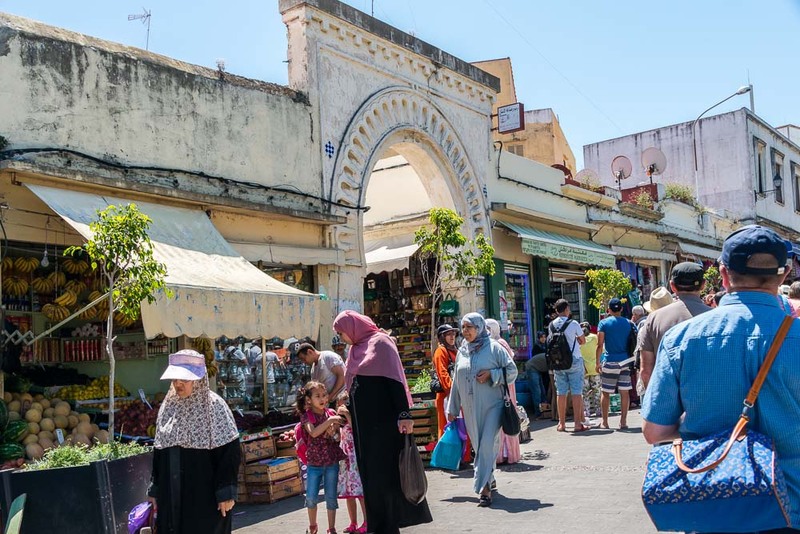 Since Jayne and I were in southern Spain, how could we not pass up a 40 minute ferry ride to the northern tip of Africa, and the fabled city of Tangier, Morocco ? Day two of our Andalusian experience started early with a bus tour. We passed by the Rock of Gibraltar on our way to the ferry port. It was huge. Unfortunately, we did not stop and my seat on the bus did not yield any descent photos, but it was still interesting to see. Our guides and the hotel concierge all agreed that with short time in Spain, Gibraltar wasn’t worth a visit since there really wasn’t much to see. 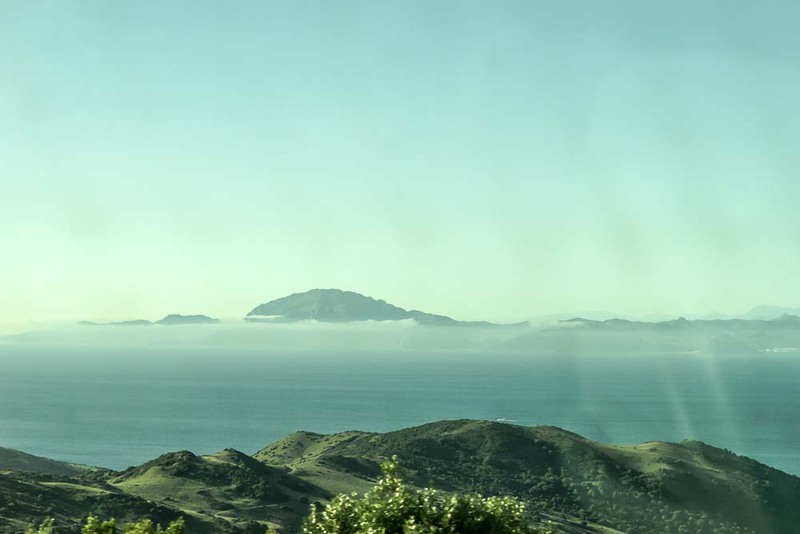 On the road to the ferry port, I was shocked to see a very mountainous coastline of northern Africa. The ferry ride over was smooth and uneventful. 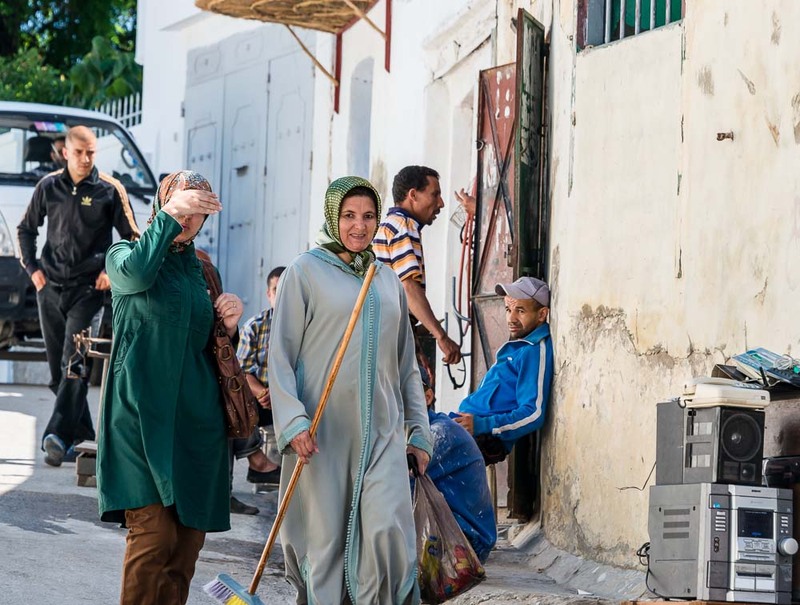 Once in Tangier, we boarded a bus with a local guide who took us around this bustling city. It was not what I expected to see. I thought the city to be flat. Instead, it was scattered across several hills. 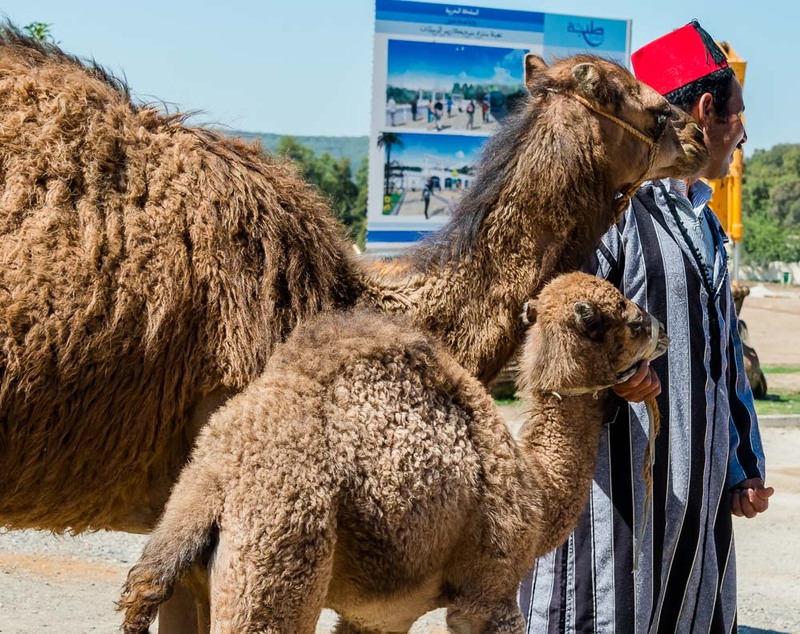 The bus stopped for a photo op of camels for the tourists. Jayne and Janet decided they would not ride a camel after they saw how miserable the camels were in the heat. Finally, the bus dropped us off in the center of the old part of the city, the walled city. Our guide quickly walked us through the sights. He had a schedule to keep. This made it difficult for me taking pictures since I was always behind the group, much to Jayne’s dismay. I had asked our guide what the etiquette was for taking people pictures. He told me that some people will let you, others won’t. So I rolled the dice. At one point, one shop keeper chased me when I raised my camera to take his picture! 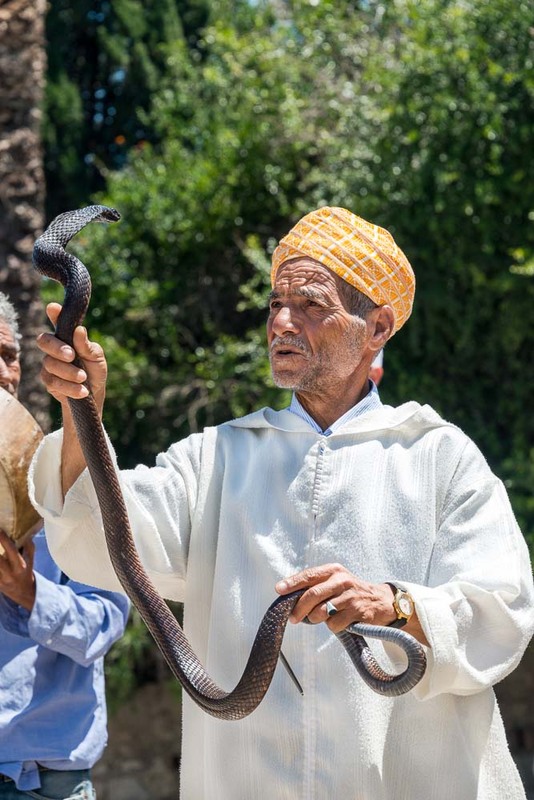 We stopped next to see a snake charmer at work with a cobra. 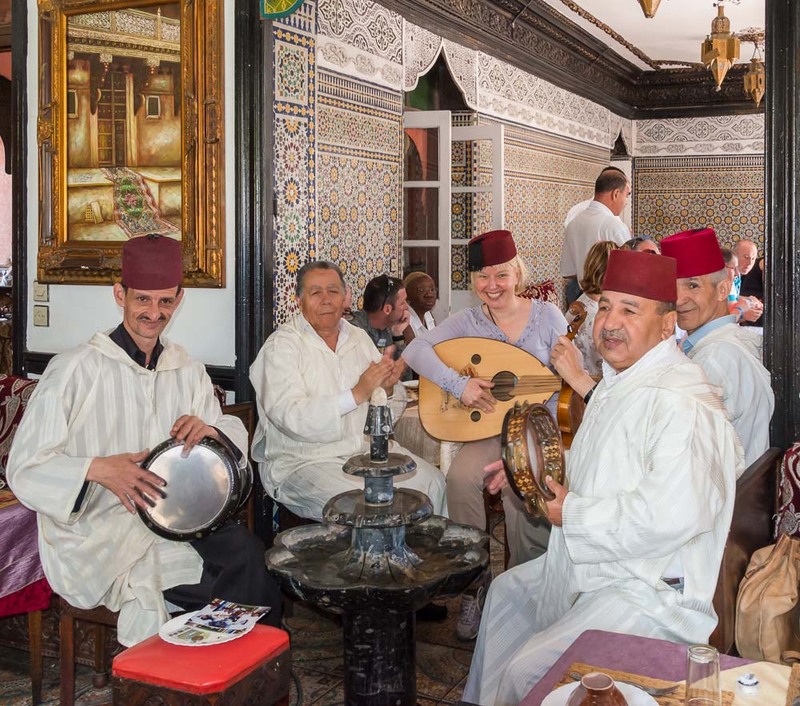 After this, we stopped for an excellent lunch of typical Moroccan cuisine. We were entertained by a band of minstrels and a belly dancer. That’s my sister-in-law, Janet, playing with the minstrels! We then arrived at the heart of the shop district. The vendors were two types: those who owned shops, and then the street walkers. The street walkers were RELENTLESS in trying to get you to buy some of their trinkets. You have to be forewarned and in the mood to handle this aspect of their culture. It does tend to get under your skin, if you are not careful. They don’t take No for an answer! So, mystery? Intrigue? To a point, considering our rushed tour. But I think the word of that day was RELENTLESS! Probably would have been a good idea, especially with that crowd! Another word for the day was “liability.” Janet and I were just saying we probably should have asked that snake charmer to show us proof of a good umbrella policy before she let him put a snake around her neck.